Welcome to Romancing the Stacks. 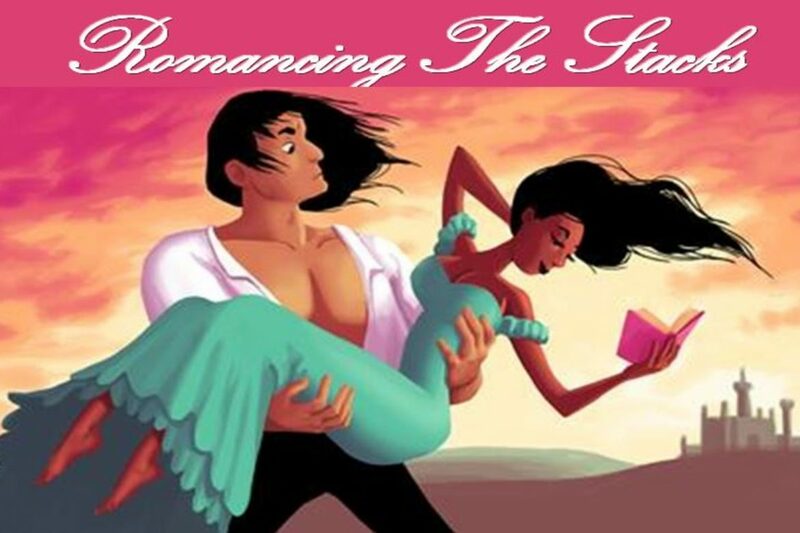 This is a series of reviews featuring one of my favorite genres: Romance Novels! Nothing is better than curling up with a good romance. 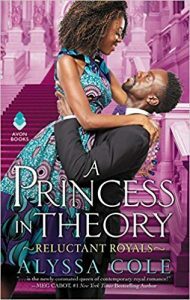 This review will explore A Princess in Theory by Alyssa Cole. Prince Thabiso is the sole heir to the throne of Thesolo, shouldering the hopes of his parents and his people. At the top of their list? His marriage. Ever dutiful, he tracks down his missing betrothed. When Naledi mistakes the prince for a pauper, Thabiso can’t resist the chance to experience life–and love–without the burden of his crown. I adamantly hate this book. I was hate reading it. (Hate reading is when you want to put down a book but continue to read just to prove it is as bad as you thought it was.) The two leads seem one dimensional. Naledi or Ledi is a scientist who talks about how awful her relationship with her best friend, Portia, is. She literally wonders why she and Portia are friends in the first place. That is not a great start to a main lead. The only reason she remains friends with Portia is that she feels no one else will care about her. In truth she was right I did not care about her. She and Portia have a weird falling out that could have lead to better character development, but is resolved in one page. Thabiso is basically just a basic spoiled prince with a heart of gold that is seen in every romance book staring a prince The mystery around Ledi’s parents is never really solved. There is also a weird subplot about a plague that got me a little more invested, but it had a lame conclusion. This book is just too basic. If you are like me and have read hundreds of romance novels, you can skip this one. I may have put too many expectations on this book to be like a Black Panther romance novel thus leading to utter disappointment. Instead of reading this watch Black Panther for better characters and a better romance. This book is a the first in the series known as Reluctant Royals. The second book A Duke by Default follows Portia and a Scottish Duke. Based on my hatred of this first one and overall dislike of Portia’s character, I am going to say pass.